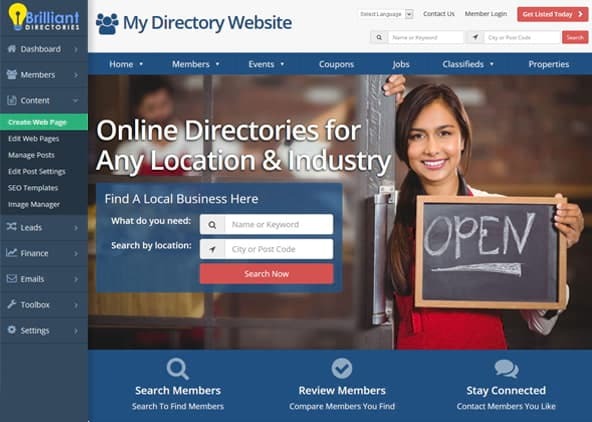 Back in 2009, our Silicon Beach company, Brilliant Directories, exclusively focused on software for creating online membership directories (such as Yellow Page websites), but has since evolved into a full-fledged CMS comparable to WordPress and other popular website building platforms. The common growth strategy for most website builders, such as Wix and Squarespace, has been to maximize user sign ups by targeting broad demographics (you may have seen their ads during the Superbowl). Today, more businesses than ever are rushing to get their websites online and require easy-to-use platforms in order to do so. According to Internet Live Stats, since 2010, the total number of websites has more than quadrupled from 200M to 860M; WordPress alone powers over 18% of websites online today – mainly because of their accessible drag n’ drop themes and plugins. So why don’t we, Brilliant Directories, advertise our platform as an easy-to-use website building solution like everyone else? Well, we’ve discovered a niche of users who require more than basic drag n’ drop website themes and templates. While on the surface Brilliant Directories offers a multitude of easy point-n-click options for beginners, we’re more focused on serving intermediate to advanced users. These advanced users prefer the Brilliant Directories website builder platform because it is a cloud-based CMS that offers deeper source code access and allows them to achieve higher-level development goals. While we’re a relatively new company, our knowledge of web development includes over 30 years combined experience from our directors: Matthew Brooks, Jeff Wyatt and Jason Haloossim. We are currently the only cloud-based CMS platform that provides higher-level source code access to develop websites without the need to modify PHP files. 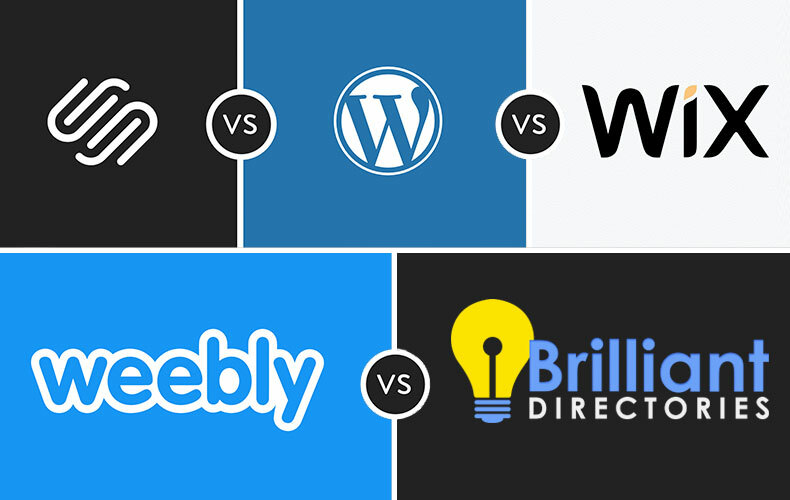 Other options in the space, such as Weebly, Squarespace and Wix, limit access to certain levels of source code that more advanced users require within their cloud-based environments – this is the main difference between easy-to-use, drag n’ drop themes and Brilliant Directories. You, our invaluable users, have continued to share your admiration of our user-friendly interface with us. And to further enhance the benefits of our platform, we now seamlessly integrate with payment gateways such PayPal, eWay, Stripe and Authorize.net – allowing you and other website owners to autonomously manage your income from membership subscriptions, lead sales and more. As consumers outgrow easy-to-use, drag n’ drop website builders and as more students learn how to program, the demand for advanced solutions such as Brilliant Directories will continue to grow. Platforms such as Wix, WordPress and Weebly (no, this is not what “www” stands for) may eventually provide users with more cloud-based source code access. Until then, we will continue to meet the demands of this active niche of experienced users who simply require more.